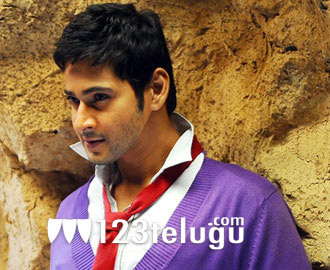 Prince Mahesh Babu’s ‘Businessman’ is in the last stages of shooting. The movie unit will head to Europe in the second week of November and two songs will be shot there on Mahesh Babu and Kajal Aggarwal. The locales that have been scouted are said to be extraordinary. Puri Jagannath is directing this movie and the production is on R.R.Movie Makers banner. The movie is on track for a grand release on January 11th 2012 and the audio launch is expected to take place in December. The movie is set in Mumbai with a Mafia backdrop. The movie is being completed in record time and shooting would be wrapped up within 75 days as announced by Puri Jagannath before the shooting began. There is a tremendous buzz surrounding the movie as Mahesh Babu and Puri Jagannath are teaming up for the first time after the massive success of Pokiri.